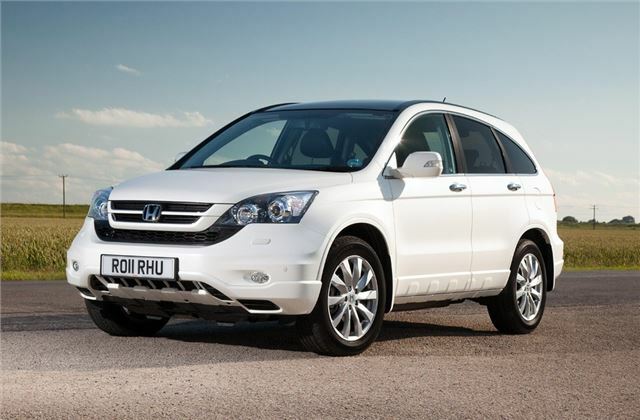 Honda is offering a free upgrade on the CR-V, worth as much as £2520, depending on the trim level. The offer runs until June 2012. Those who purchase an SE+ grade model will be upgraded to ES-T at no cost, meaning £2490 of extras including alloy wheels, half leather/ half Alcantara upholstery, heated front seats, folding mirrors, iPod connectivity, satellite navigation and Bluetooth. Those who chose the ES-T trim will be upgraded to EX, which includes a premium audio system, full leather upholstery, a panoramic roof, automatic lights and wipers plus an eight way adjustable electric driver’s seat. Honda’s ‘Your Honda, Your Way’ offer, which was introduced in January, runs alongside the free upgrades and is also offered on the CR-Z and Jazz. You can read more about it here.